Hey music lovers! We had a quick chat with DJ Ken Stone from New Jersey, who's been a GigMasters member since 2007. He gave our music specialist, Pauly Gigs, some DJ tips and an update on what's going on in his scene these days. 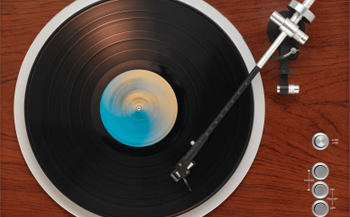 Pauly Gigs: What style of music are you spinning these days? Ken Stone: It really depends a lot on the event. Some high school parties like more of a urban/hip-hop focus, while parties out in Pennsylvania I may end up doing 45 minutes of country slow dancing and have a packed dance floor for all of it. I usually do something like this at weddings after the cake cutting. I'm moving to Houston this summer so I may have to shift gears a bit. PG: What are you NOT spinning? KS: They majority of my customers specifically say, "No line / participation dances." PG: What's the crowd like at your wedding gigs? KS: I get mostly people who love to dance and don't need much encouragement to get out there on the dance floor and have a good time. They like the oldies but after dinner when the party kicks into high gear they like the newer faster songs with a good beat. PG: What's your current top 10 playlist? Stay in the loop with GigMasters (and all the hot jams) and follow Pauly Gigs on Facebook. If you're a DJ and would like to share your playlists with us, drop us a line on Facebook or in the comments below.